Benjamin Netanyahu said on Wednesday that he is looking forward to a record fifth term as prime minister as his alliance with right-wing parties is poised to gain a majority in Israel's parliament. "I started holding talks with the heads of the right-wing parties, our natural partners, tonight," he told crowds of supporters in Tel Aviv, as quoted by Haaretz. "Almost everyone publicly declared that they would recommend me [to the president] to form the next government. I intend to finish the task quickly in order to establish a stable national government," he said. The 69-year-old prime minister, who is facing indictment in three separate corruption cases, called his victory an "immense feat, almost inconceivable", given that his party was "faced with biased media". 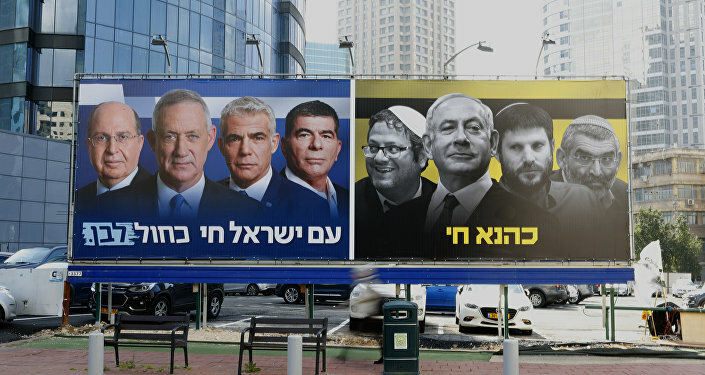 With almost 100 percent of the votes counted, his Likud party and the centrist Blue and White alliance are expected to win a similar number of seats in the Knesset, but Netanyahu is set to lead the largest bloc in the parliament, which includes the right-wing parties Jewish Home, Tkuma, and Otzma Yehudit. Netanyahu, who had promised to annex settlements in the West Bank if he gets re-elected, said he would form a right-wing government, but promised to become a "prime minister of all of Israel's citizens, right and left, Jews and non-Jews alike". The victory makes Netanyahu Israel's longest-serving prime minister. He has been at the helm of the government since 2009 and served his first term between 1996 and 1999.